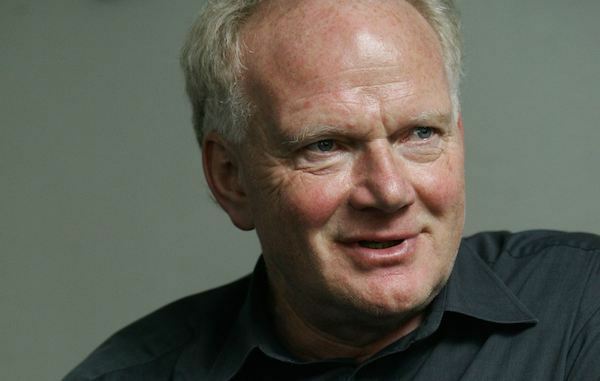 Ulrich Beck. Photo: Augsburger Allgemeine. I FIRST ENCOUNTERED Ulrich Beck as a (superannuated) postdoc. I was a Humboldt Stipendiat in Berlin, where in 1987, I heard the sociologist Helmuth Berking give a paper on Beck’s “Reflexive Modernisierung” (Reflexive Modernization) at a Freie Universität colloquium. I had already published a paper called “Postmodernity and Desire” in the journal Theory and Society, and Beck’s notion of reflexive modernization seemed to point to an opening beyond the modern/postmodern impasse. Today, Foucault, Deleuze, and even Lebenssoziologie (Life sociology) are all present in German intellectual life. But in 1987, this kind of stuff was beyond the pale. Habermas and Enlightenment modernism ruled. And rightly so: It is largely thanks to Habermas that Germany now is a land rooted less in fiercely nationalistic Blut und Boden (Blood-and-Soil) than in a more pluralistic Verfassungspatriotismus (Constitutional Patriotism). Beck’s foundational Risikogesellschaft (Risk Society), however, abandoned the order of Habermas’s “ideal speech situation” for contingency and unintended consequences. This was hardly a celebration of contingency; Beckian contingency was rooted in the Chernobyl disaster; it was literally a poison, or in German a Gift. Hence Beck’s subsequent book was entitled Gegengift, or “Counter-poison.” It was subtitled Die organisierte Unverantwortlichkeit (The Organized Irresponsibility). Beck’s point was that institutions needed to be responsible for a politics of antidote that would address the unintentional generation of environmental crises. This was a critique of systematic institutional irresponsibility—or more literally “un-responsibility”—for ecological disaster. Beck’s thinking became more broadly accepted in Germany over the years. Yet the radically original themes of contingency and unintended consequences remained central to Beck’s own vision of modernity and inspired a generation of scholars. Beck’s influence has been compared by Joan Subirats, writing in in El País, to that of Zygmunt Baumanand Richard Sennett. Yet there is little in Bauman’s idea of liquidity to match the power of Beck’s understanding of reflexivity. It was based in a sociology of knowledge in which the universal of the concept could never subsume the particular of the empirical. At the same time, Beck’s subject was still knowledge, not the impossibility of knowledge and inevitability of the irrational (not, in other words, the “known unknowns” and the “unknown unknowns” that have proved so damaging to contemporary political thought). Beck’s reflexivity, then, was not just about a Kant’s What can I know?—it was just as much a question of the Kantian What should I do? and especially What can I hope? For Beck, “un-responsible” institutions were still situated in what he referred to as “simple modernity.” They would need to deal with modernity’s ecological contingency in order to be reflexive. They would need to be aware of unintended consequences, of what environmental economists (and later the theory of cognitive capitalism) would understand as “externalities.” Beck’s reflexivity extended to his later work on cosmopolitanism and Europe. For him, Europe is not an ordering of states as atoms, in which one is very much like the other. It is instead a collection of singularities. Hence his criticism of German Europe’s “Merkiavelli”-ism in treating Greece and the European South as if all were uniform Teutonic entities to be subject to the principle of austerity. Though Beck has remained highly influential, Bruno Latour’s “actor-network” theory has outstripped his ideas in terms of popularity, establishing a dominant paradigm among sociologists. Yet the instrumentalist assumptions of actor-network theory do not open up the ethical or hopeful dimension of Beck’s work. The latter has been a counter-poison, an antidote to the instrumentalism at the heart of today’s neoliberal politics, in which our singularity has been eroded under the banner of a uniform and possessive individualism. Because of the contingency at its heart, Beck’s work could never become a dominant paradigm. Beck’s ideas clearly drove the volume Reflexive Modernization, which he, Anthony Giddens, and I published in 1994. There, I developed a notion of “aesthetic reflexivity,” and although in some ways I am more of a Foucault, Deleuze, and perhaps Walter Benjamin guy, Beck’s ideas still drive my own work today. Thus we should extend Beckian reflexivity to speak of a reflexive community, and of a necessary risk-sharing that must be at the heart of any contemporary politics of the commons. I was offered the post to be Ulrich’s Nachfolger (successor) at University of Bamberg when he moved to Munich in 1992. In the end, I decided to stay in the UK, but we kept in touch. Although to a certain extent I’ve become a cultural theorist, Ulrich always treated me as a sociologist, and he was right: When I attended his seventieth birthday party in April 2014, all of cultural Munich was there, from newspaper editors to museum directors. Every February, when he was based at the London School of Economics, Ulrich and his wife Elisabeth would spend a Sunday afternoon with Celia Lury and me at our house in Finsbury Park/Highbury, enjoying a lunch of Kaffee und Kuchen (coffee and cake) and deli cheeses and hams. No more than a fortnight before his death Ulrich emailed me about February 2015. I replied sadly that I would be in Asia and for the first time would miss this annual Sunday gathering. At his seventieth birthday Ulrich was in rude health. I was honestly looking forward to his eightieth. Now neither the Islington Sundays nor the eightieth birthday will happen. It is sad. Scott Lash is the Research Director at the Center for Cultural Studies at Goldsmiths, University of London. 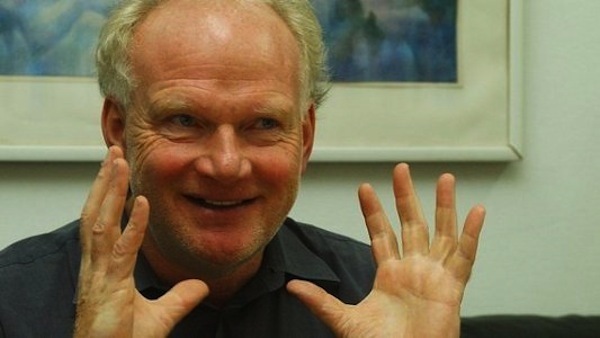 THE DEATH OF ULRICH BECK is terrible news. It is a tragedy for his family, for his research team, and for his many colleagues and friends, but it is also a tragedy for European thought. Ulrich was a public intellectual of the infinitely rare kind in Germany, one that was thought only to exist in France. But he had a very individual way—and not at all French—of exercising this authority of thought: There was nothing of the intellectual critic in him. All his energy, his generosity, his infinite kindness, were put in the service of discovering what actors were in the midst of changing about their way of producing the social world. So for him, it was not about discovering the existing laws of such a world or about verifying, under new circumstances, the stability of old conceptions of sociology. No: It was the innovations in ways of being in the world that interested him above all. What’s more, he didn’t burden himself with a unified, seemingly scientific apparatus in order to locate those innovations. Objectivity, in his eyes, was going to come from his ability to modify the explanatory framework of sociology at the same time as actors modified their way of connecting to one another. His engagement consisted of simply prolonging the innovations he observed in them, innovations from which he was able to extricate power. This ability to modify the explanatory framework was something that Ulrich would first manifest in his invention of the concept of Risikogesellschaft (risk society), which was initially so difficult to comprehend. By the term risk, he didn’t mean that life was more dangerous than before, but that the production of risks was henceforth a constituent part of modern life and that it was foolhardy to pretend that we were going to take control of them. To the contrary, it was necessary to replace the question of the mode of production and of the unequal distribution of wealth with the symmetrical question of the mode of production and the unequal distribution of ills. Coincidentally, the same year that he proposed the term Risikogesellschaft, the catastrophe of Chernobyl lent his diagnostic an indisputable significance—a diagnostic that current ecological transformations have only reinforced. This attention to risk would, in turn, modify all the usual ingredients of the social sciences: First, politics—its conventional definition gradually being emptied of its content while Ulrich’s notion of “subpolitics” spread everywhere—but also psychology, the elements of which never ceased to change, along with the limits of collectives. Even love, to which he devoted two books with his wife Elisabeth Beck-Gernsheim, who is so grief stricken today. Yes, Ulrich Beck went big. Perhaps this is why, on a visit to Munich, he was keen to take me on a pilgrimage to Max Weber’s house. The magnitude of Beck’s conceptions, the audacity of trying to rethink—with perfect modesty and without any pretension of style, without considering himself to be the great innovator that he was—truly made him a descendant of Weber. Like him, Beck wanted sociology to encompass everything. What makes Beck’s death all the harder to accept, for everyone following his work, is that for many years he was making the social sciences undergo a kind of de-nationalization of its methods and theoretical frameworks. Like the question of risk, the question of cosmopolitism (or better, of cosmopolitanism) was one of his great concerns. By this venerable term, he was not designating some call for the universal human, but the redefinition of humans belonging to something other than nation-states. Because his investigations constantly butted against the obstacle of collected facts managed, conceived of, and diffused by and for states—which clearly made impossible any objective approach toward the new kinds of associations for which the empty term globalization did not allow—the methods of examination themselves had to be radically modified. In this, he was succeeding, as can be seen in the impressive expansion of his now leaderless research group. Beck manifested this mistrust of the nation-state framework in a series of books, articles, and even pamphlets on the incredible experience of the construction of Europe, a phenomenon so admirable and yet so constantly disdained. He imagined a Europe of new affiliations, as opposed to a Europe of nation-states (and, in particular, in contrast to a uniquely Germanic or French conception of the state). How sad it is to think that such an essential question, yet one that is of interest to so few thinkers, can no longer be discussed with him. I cannot imagine a sadder way to greet the new year, especially considering that Beck’s many research projects (we were just talking about them again in Paris a few weeks ago) addressed the most urgent questions of 2015: How to react to the world’s impotence on the question of climate change? How to find an adequate response to the resurgences of nationalisms? How to reconsider Europe through conceptions of territory and identity that are not a crude and completely obsolete reprise of sovereignty? That European thought has lost at this precise moment such a source of intelligence, innovation, and method is a true tragedy. When Beck asked, in a recent interview, “How does the transformative power of global risk (Weltrisikogesellschaft) transform politics?” no one could have suspected that he was going to leave us with the anxiety of finding the answer alone. Bruno Latour is professor at Sciences Po Paris and Centennial Professor at the London School of Economics. Translated from French by Molly Stevens. A version of this text was published in German on January 5 in the Frankfurter Allgemeine Zeitung.